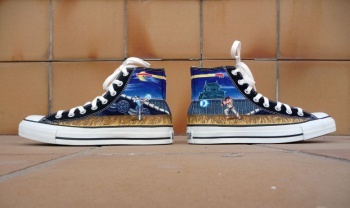 The good news is that these shoes look amazing. The bad news is that they're (literally) one of a kind. 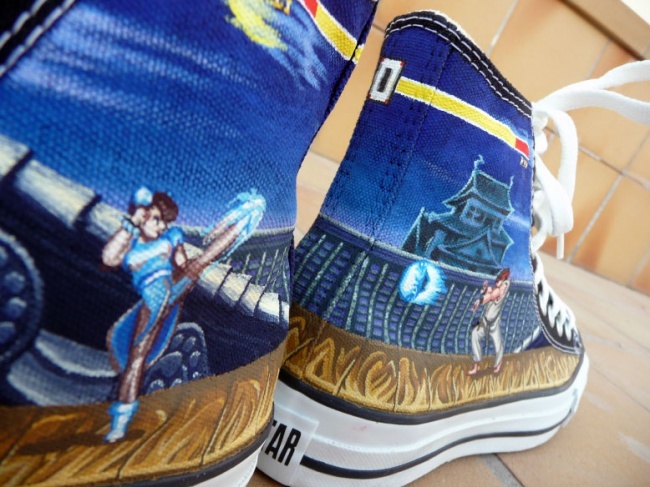 It's been a little while since we last heard from Maya Pixelskaya, the woman who delighted the Web's masses with those adorable Monkey Island Chucks. 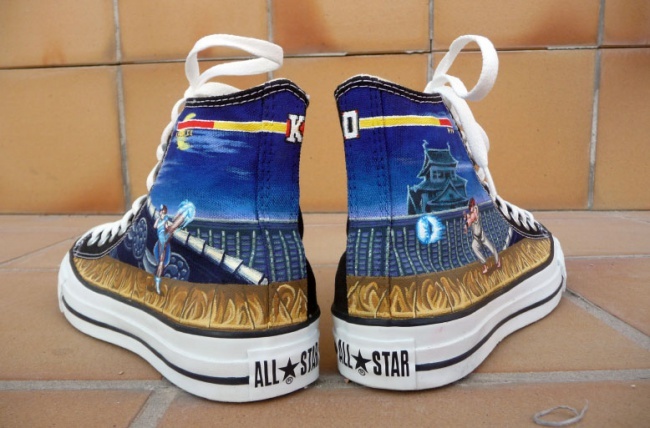 Pixelskaya is back with another set of customized Converse All-Stars, but this time she's (literally) kicking it old-school with a tribute to Street Fighter II. 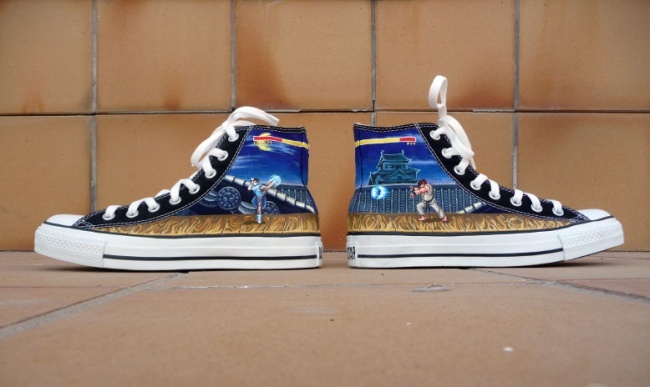 The Chucks were a new project that Pixelskaya created for herself, featuring similar artwork as the custom nail designs she created earlier this year. Pixelskaya took a slew of photos, including a few of her modeling the creations. Overall, the scene of Ryu facing off against Chun-Li is pretty outstanding, and features some pretty eye-popping detail work. You can see some of the photos here, but there are more on display at Pixelskaya's website.